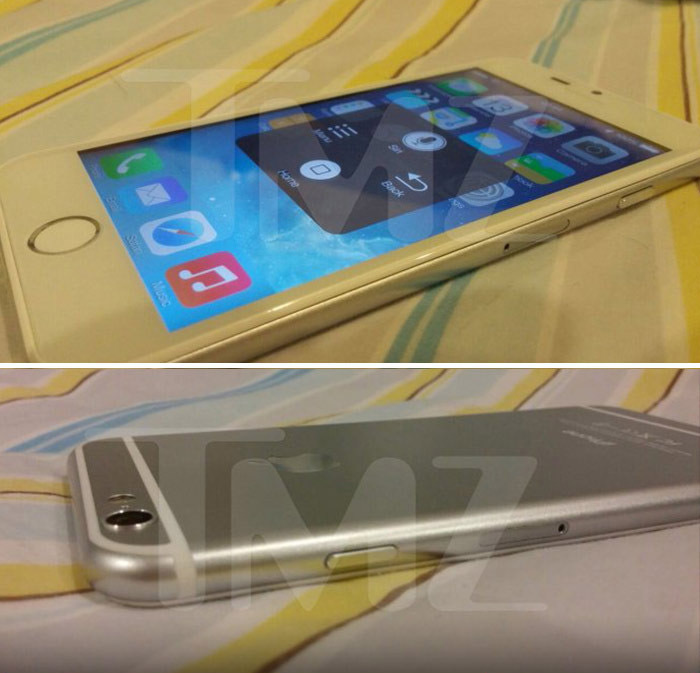 New leaked images of Apple’s much-anticipated iPhone 6 have surfaced online! Check out the photos below. The photos show a silver white color variant of the smartphone, its larger screen, new back panel with plastic to allow for better reception, and a close-up view of the TouchID sensor rumored to double as a trackpad. According to TMZ, the next-generation iPhone is noticeably lighter than the iPhone 5s released back in 2013. It’s rumored, Apple will officially announce the new iPhone 6 on September 9th.